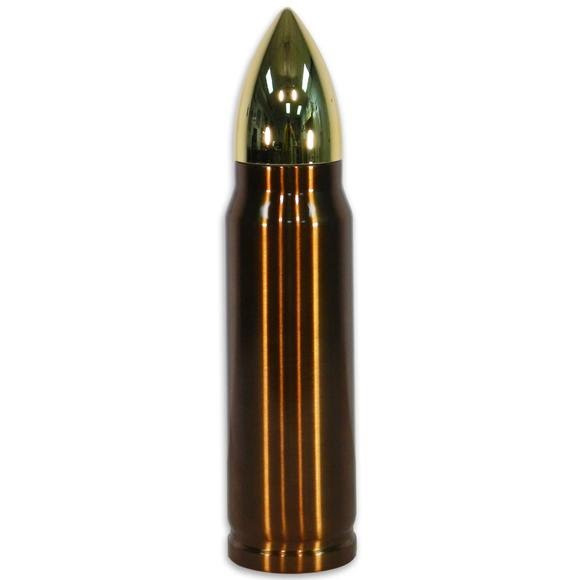 Featuring a distinctive .50 cal rifle shell design, the Big Shot Collection of home accents adds a personal touch to the home of hunting enthusiasts. This generous thermos is ideal for the outdoorsman on the go, and holds 16 fluid ounces. Hand wash only.